Causeway Whistleblower Policy | Causeway Interfaith Volunteer Caregivers, Inc.
Causeway is committed to conducting its affairs honestly, ethically and in compliance with applicable laws and regulations. Concerned individuals are encouraged to report good faith concerns about Causeway or its members. Attempts to resolve any such concerns normally should be made by contacting the Director of Causeway or a member of the Board of Directors. If the concerned individual is, for any reason, uncomfortable with doing so, reports may be made directly to the Causeway office through Causeway’s, 24/7 hour office line at (608) 775-9999. Reports also may be made to relevant external entities or agencies responsible for the enforcement of laws containing non-retaliation provisions. Retaliation against a member of the Causeway community for making a good faith report of potential Causeway-related violations is prohibited and will not be tolerated. The Executive Director and Board of Directors of Causeway will review complaints of retaliation and any attempted or actual retaliatory action covered under this Policy may subject the violator to disciplinary action. Reports that are knowingly false, made with malicious intent, or with reckless disregard for or willful ignorance of facts that would disprove the allegation made are not good faith reports, are prohibited by this Policy, and may subject the violator to disciplinary action. Members of the Causeway who believe that they have been retaliated against in violation of this Policy may submit a written or oral complaint to the Board of Directors, who may refer the complaint to the appropriate council(s) for review and disposition. Interim actions may be taken by Causeway prior to final disposition. Causeway’s Executive Director and its Board of Directors are required to investigate all allegations promptly and thoroughly, and report the origins and the results of the investigation to a higher authority. Any complaint received will be investigated within twenty-four hours, during a typical business week. 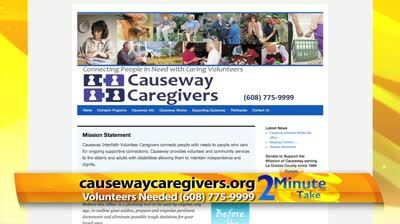 ￼￼Each named representative of Causeway reviews and signs the Whistleblower Policy annually.